Quite possibly the best way to experience Lancaster County. 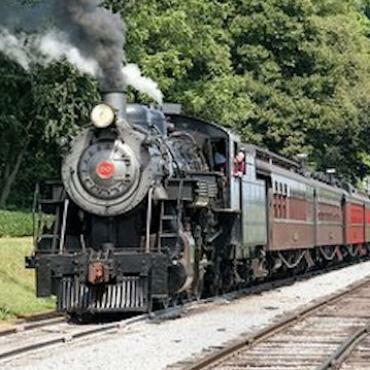 Travel aboard authentic passenger cars, pulled by a massive, coal-burning steam locomotive, and awe at the beautiful landscape that has changed little over time. 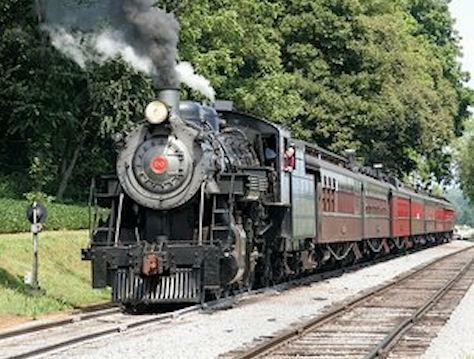 Your journey starts with a 45-minute train ride on America's oldest short-line railroad - circa 1832. Travel when you want, how you want. From Coach to First-Class, Open Air to the Dining Car - it's one ride that is sure to please. Back at the station, test your power on the authentic Pump Car, take a ride on the miniature steam train or go for a behind-the-scenes tour of where passenger cars and steam engines are built, restored and refurbished.